This console provides you with a place to conceal remotes, chargers and other small items that would normally make a mess in your living room. Outfitted with cup holders, the built-in console allows you to have your beverage right next to you so you won’t miss a minute of the big game or the most exciting part of a movie. With this hidden storage you are able to keep your living room organized while always knowing where to find essential items. Wrap yourself in comfort with this console reclining love seat. The padded chaise footrest extends for a place to stretch out and relax while taking a nap or watching TV. Convenient storage is provided by the center console. 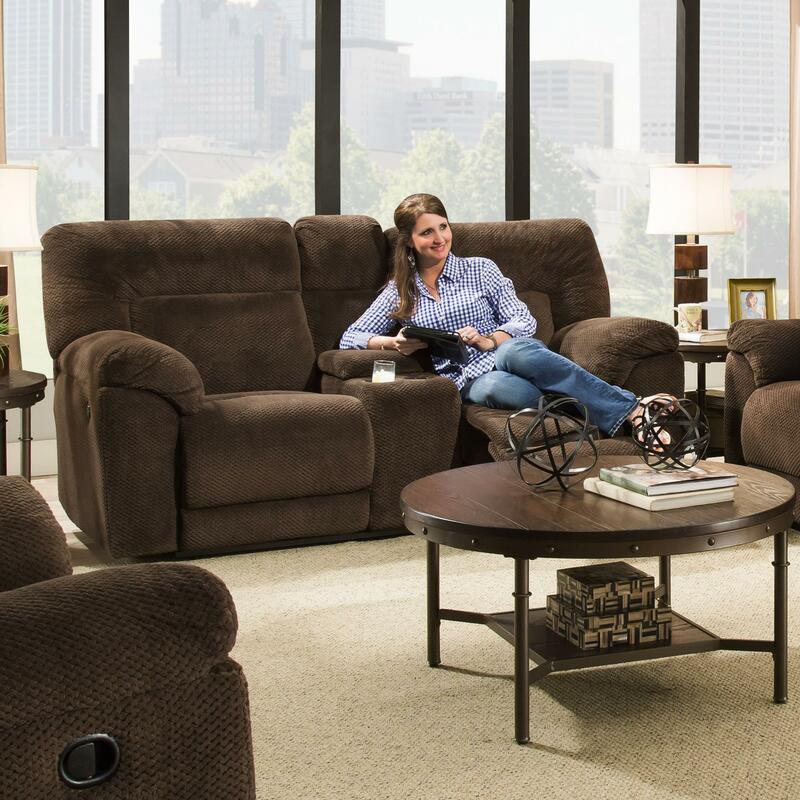 Comfy and casual style makes this power reclining loveseat great for your family room or den. The 50570 Casual Power Double Motion Loveseat with Console by United Furniture Industries at Household Furniture in the El Paso & Horizon City, TX area. Product availability may vary. Contact us for the most current availability on this product. Bring comfort into your home with this reclining collection. The plush pillow arms and cushioned seat backs allow you to kick back and relax. Choose from a sofa and loveseat combination or sectional to update your living room, family room or den. Available in both manual and power recline. The 50570 collection is a great option if you are looking for Casual furniture in the El Paso & Horizon City, TX area. Browse other items in the 50570 collection from Household Furniture in the El Paso & Horizon City, TX area.